First clue: trucks require two things cars don't. Ford has never been shy about its intentions to be more environmentally friendly. 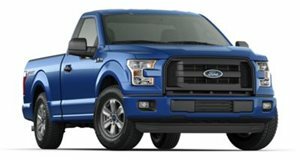 Examples include its entire , the and an upcoming and F-150 pickup truck. Even electric crossovers are in the pipeline. But why won’t Ford go all the way and make that future F-150 a pure EV? recently spoke with Ford chief technology officer Raj Nair as to why that won’t be happening (at least not in the near future). The reason is actually very simple. “In a CUV, you aren’t too worried about payload or towing, but it’s very different for a truck,” Nair explained. “And when you put that number of cells and that much weight into the vehicle, it does cut into payload and towing.” As any self-respecting truck customer fully understands, payload and towing capabilities are two of the most important issues, and any hindrance to either one would not be good, to say the least. But what about that upcoming hybrid F-150? Will it suffer from less payload and towing? A hybrid truck’s capabilities won’t be compromised, according to Nair. Quite the opposite. A hybrid truck adds value because Ford wants “electrification to be a bonus.